FOX announced its new schedule for the 2009 – 2010 season earlier this week and, other than the renewal of Dollhouse, there weren’t many surprises. If you count in the numbers for American Idol, the network is still doing very well with viewers in the 18-49 demographic. New shows that are on the way for next season include Brothers, Human Target, Past Life, Sons of Tucson, and The Family Guy spin-off, The Cleveland Show. Shows that will be back next season include 24, American Dad, American Idol, America’s Most Wanted, Bones, Cops, Dollhouse, Family Guy, Fringe, Glee, House, Kitchen Nightmares, Lie to Me, The Simpsons, So You Think You Can Dance, and ‘Til Death. King of the Hill has been cancelled but, because FOX still has some leftover episodes, the network has indicated there are plans to air a few next season. So You Think You Can Dance is also airing over the Summer. It’ll be joined by returning reality shows like Are You Smarter Than a Fifth Grader?, Don’t Forget the Lyrics!, Hell’s Kitchen, and The Moment of Truth. Joining them will be new series Mental and More to Love. Which FOX show shouldn't have been cancelled? The Jeff Foxworthy-hosted game show pits the knowledge of adults against precocious pre-teens. The show is set to return with new episodes in late June but that’s supposed to be the end of the show’s run. For those who enjoy the series, a syndicated version will begin airing in September on MyNetworkTV. A sitcom based in a posh New York City hotel. With bad reviews and few viewers, FOX pulled the plug after three installments aired. Three episodes, including the pilot, were never broadcast. This sing-a-long game show is hosted by the always-energetic Wayne Brady. It returns to the FOX schedule for the Summer months but they aren’t making any more episodes. A strange game show in which contestants try to quickly contort their bodies to match the cutouts in a rapidly moving wall. There were 26 episodes produced and, to date 18 of them have aired. They may air at some point but there won’t be any more produced. The fourth network’s answer to Saturday Night Live lasted 14 seasons before FOX pulled the plug. Producers want to find another home for the series but thus far, they don’t appear to have been successful. 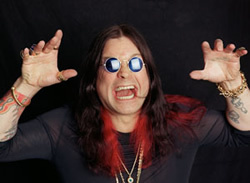 This strange reality show revolves around the crazy Osbourne family interacting with audience members and outrageous acts to create crazy stunts and comedy. Based on the poor performance of its March 31st preview episode, FOX has cancelled it. Five additional episodes were shot. They may see the light of day at some point but no others will be made. The network says that Michael Scofield and frenimies can finally stop running. The prison drama is ending after four seasons. A two-hour follow-up movie has made and is coming to DVD in July. FOX may or may not air it as well. A reality show in which millionaires go undercover in depressed areas and end up awarding money to people in need. The network has said there’s a chance that it may be revived someday but, for now, it’s dead. From creator Mitch Hurwitz, this animated series reunites several Arrested Development castmembers. Unfortunately, the series wasn’t beloved by viewers or critics as much. Four episodes have aired, leaving nine on the shelf. Again, they may air but there won’t be any new ones made. This sci-fi action series lasted just 31 episodes before having its plug pulled. Though you’d think that there’d be a big audience for a small-screen version of the Terminator franchise, not many viewers tuned in. Will you miss any of these cancelled shows? Has FOX made any mistakes or have they gotten these right? See any they shouldn’t have renewed but did? Leave your comments below! I can’t believe you cancelled Prison Break and King of the Hill! Both were great. PB was intense and was a cliffhanger daily! King of the Hill is great for the ages of 40 something. Please create something as intense as PB! I beleive if your going to CANCEL a show, you should AT LEAST give it a PROPER ENDING!!!!!!!!!!!! I want a Season 3 of Terminator: The Sarah Connor Chronicles!!! And with that… make’s me not want to even bother watching Fox at all. JC your stupid Family Guy really freaking funny it makes me laugh all the time when I watch it. 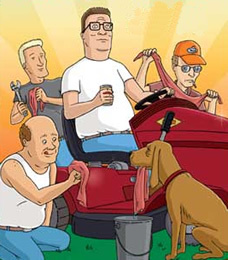 King of Hill was my favorite Fox is gay at least adult swim has family guy and king of the hill still. Adult swim should start making the new episodes for king of the hill ,family guy,and Cleveland Show. The Cleveland show is basically the same thing as family guy but a african american family. LOL I love Family Guy, The Cleveland Show, and King of the Hill. Focus on the shows and drop the political stuff. You’ve made the coolest shows ever. Family Guy should be canceled. They are very discriminatory. I used to be a fan of Family Guy, but they have become more and more racist, and discriminatory. I love Lie to Me! I’ve been looking for it thinking it was a temporary programming change. Cancelled??!! I’m very disappointed. I agree with you I am really disappointed. It was truly an enjoyable show. I dont think you read that right. Lie To Me was not canceled. I absolutely loved the show MENTAL . Why would you take it off. There’s not enough good tv on to watch so keep the good ones and maybe get rid of some of the stupid comedy’s. I don’t care which ones because I don’t watch any of them. Please bring mental back. I liked Mental for the caring but not for the backstabing. I know you can’t have one without the other but clean up the backstabbing.